Born to a rarified breed of Russian aristocracy, Kraven the Hunter had stalked and killed every animal known to man, and considered himself the world's best big-game hunter. It was this confidence that brought him to New York years ago, in an obsessive quest to hunt what he considered the city's greatest prey: Spider-Man. But his target eluded him time and again, mocking him at every turn. Now, after years of crushing defeats against the web-slinger, Kraven has hatched one last plan to best Spider-Man. In a stunning instant of shocking violence, Kraven stands finally triumphant over Peter Parker's seemingly dead body. 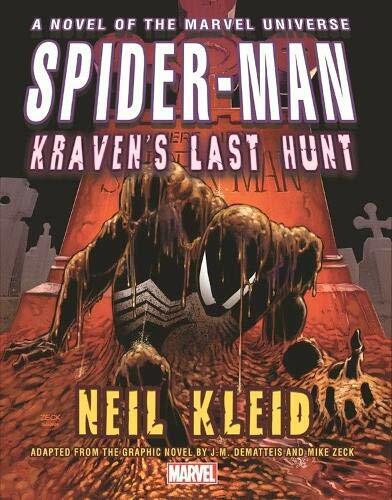 And to prove that he is the hero's master, Kraven will don Spider-Man' costume -and become him! Experience the classic, genre-defining Spider-Man shocker like never before in this new adaptation!